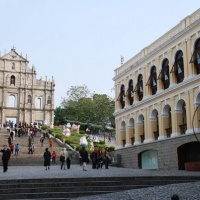 During this Macau tour, we will witness some mixing facts of the Chinese and Portuguese cultures and religious traditions by visiting its historical sites and tasting its flavourous food. This morning, meet your local guide and driver at the airport or dock (note: from Hong Kong to Macau, you can have an interesting jetfoil boat ride across the South China Sea. It only takes you 55 minutes), and then drive to see the Ruins of St. Paul's, Senado Square, A-Ma Temple, Cathedral (Lgreja Da Se) and the Four Faces Buddha Shrine. The ruins of St. Paul’s refer to the façade of the Church of Mater Dei. The church was built in 1602 adjoining the Jesuit College of St. Paul's, the first Western college in the Far East. In 1835 a fire started in the kitchens and destroyed the college and the body of the church. Nowadays, the façade of the Ruins of St. Paul’s functions symbolically as an altar to the city. Senado Square has been Macau’s urban center for centuries, and is still the most popular venue for public events and celebrations today. The square is surrounded by pastel-colored neo-classical buildings, creating a consistent and harmonious Mediterranean atmosphere. It already existed before the city of Macau came into being. 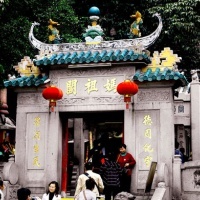 It consists of the Gate Pavilion, the Memorial Arch, the Prayer Hall, the Hall of Benevolence, the Hall of Guanyin, and Zhengjiao Chanlin (a Buddhist pavilion). The variety of pavilions dedicated to the worship of different deities in a single complex make A-ma Temple an exemplary representation of Chinese culture inspired by Confucianism, Taoism, Buddhism and multiple folk beliefs. The cathedral (Lgreja Da Se) was originally built in 1622, and repaired in 1743. During the restoration of 1780, the religious services of the Cathedral were temporarily transferred to the old chapel of the Holy House of Mercy. The façade is characterized by pilasters and the twin belfries that stand out on the streetscape. The exterior is clad in Shanghai plaster, giving the church a monolithic subdued appearance. There are two Four Faces Buddhas in Macau: one at the end of the car park of the Macau Jockey Club on Taipa Island; and the other at the International Centre close to the wharf which is a very interesting monument in an ornate Thai Style. We will see the latter. After breakfast, we will overlook the beautiful cityscape of Macau on the Macau Tower. After that, it will be your free time. You can make an exploration of the city or do some shopping freely. In the afternoon, your guide will see you off at the airport or dock. 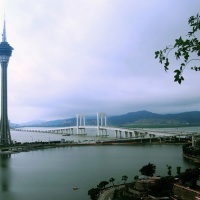 Soaring 338 meters above the city, Macau Tower is 10th highest freestanding in the world and the 8th tallest in Asia. It stands taller than Auckland's Sky Tower, Paris' Eiffel and Sydney's AMP Tower. The tower dominates the skyline and offers breathtaking panoramic views of the Macau cityscape, China, the Pearl River and even some islands of Hong Kong on a clear day. 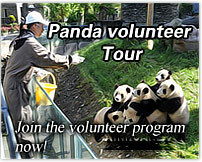 Dear Ana, we have sent you the cost for this tour, please check your email later. Would you like let me know how much is its cost. ?